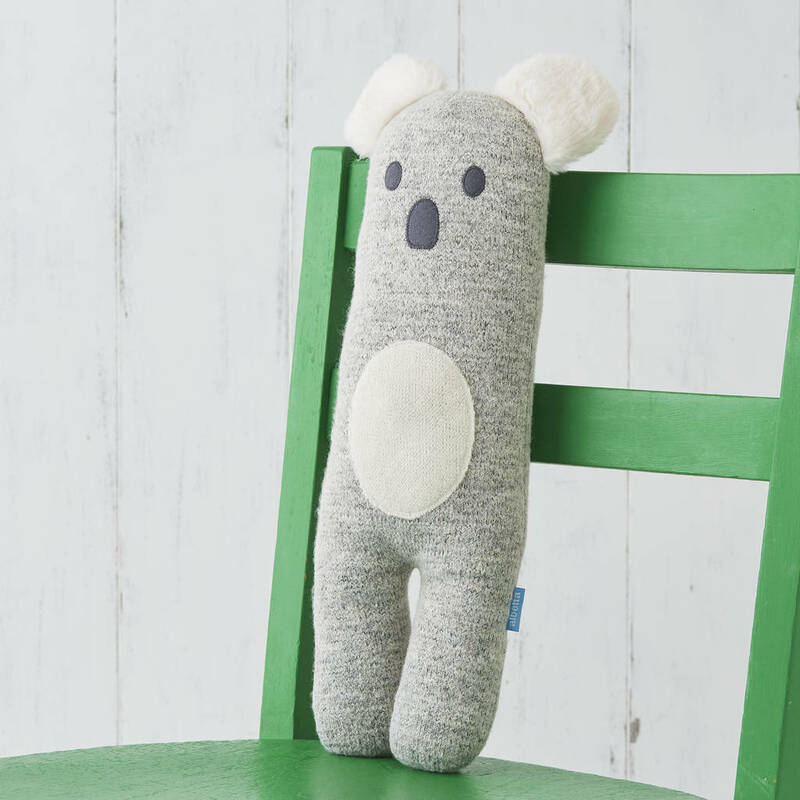 Generously sized and incredibly soft, this fluffy-eared koala is a perfect gift for babies and children. 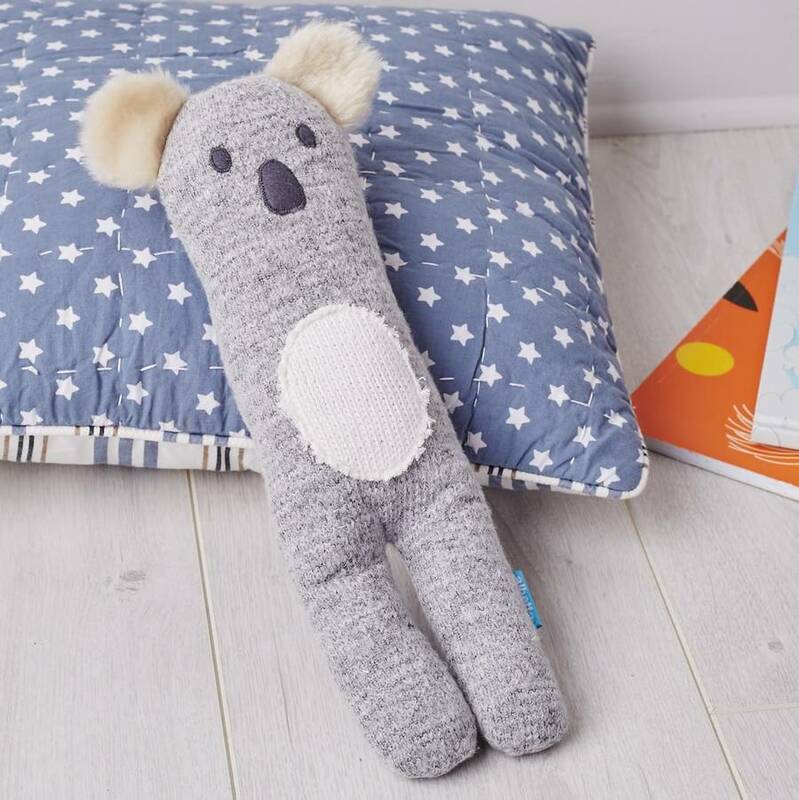 Ideal to welcome a new baby into the world or as a birthday gift for a little one. 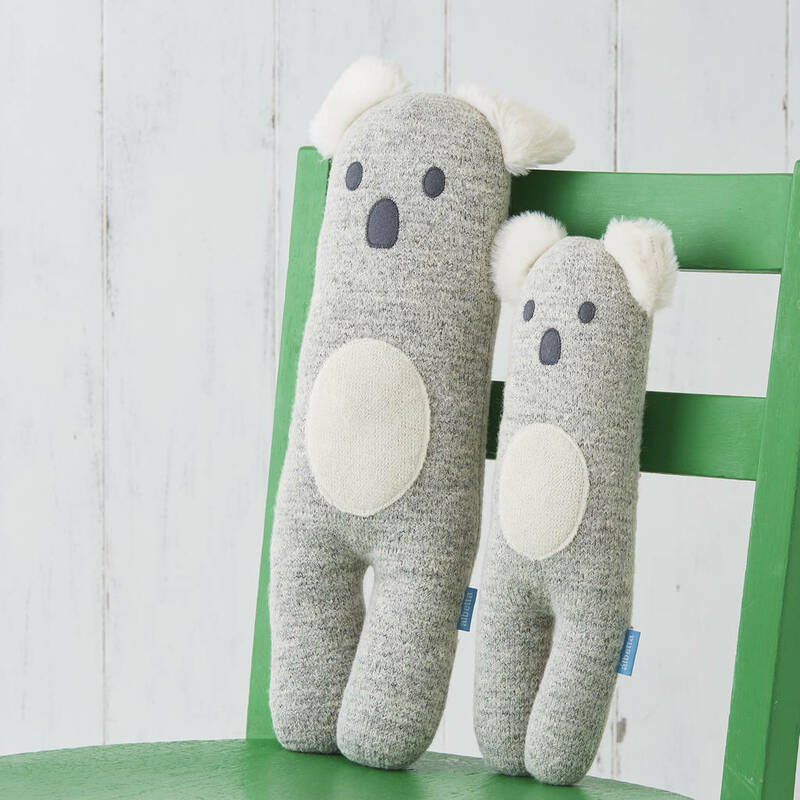 Made from the softest of cotton knits, this koala is made for cuddling. 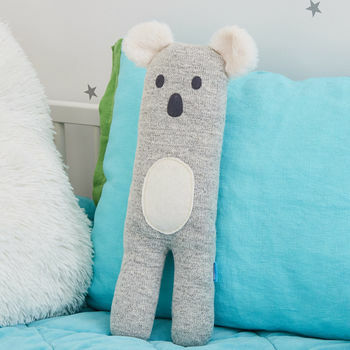 With his fluffy, furry ears and soft white tummy, he's bound to be much loved. 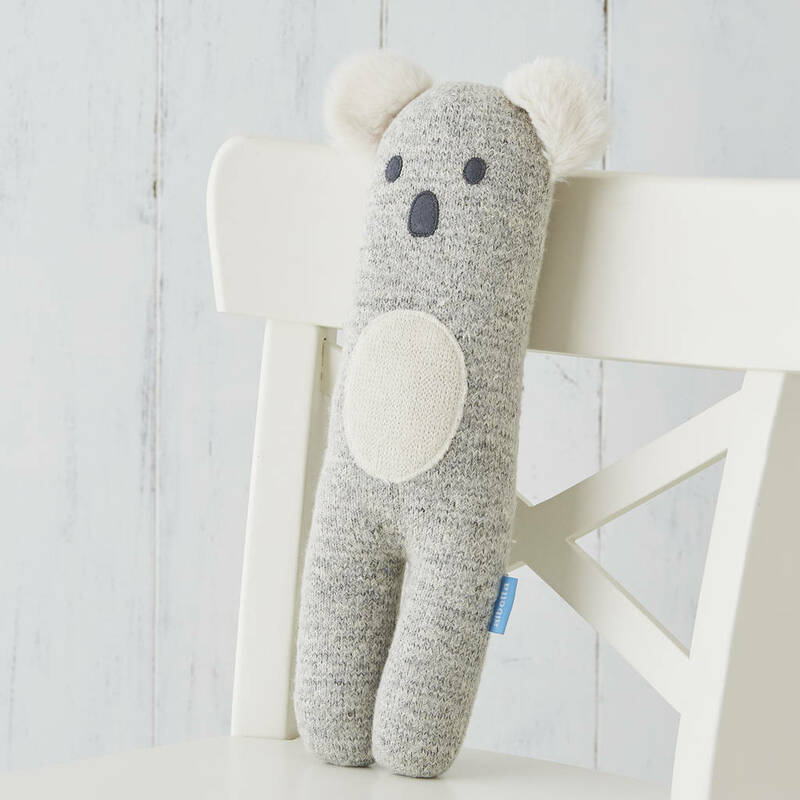 We're always happy to send your order direct to the lucky recipient with a gift receipt; simply include a gift message and their delivery details when you place your order. 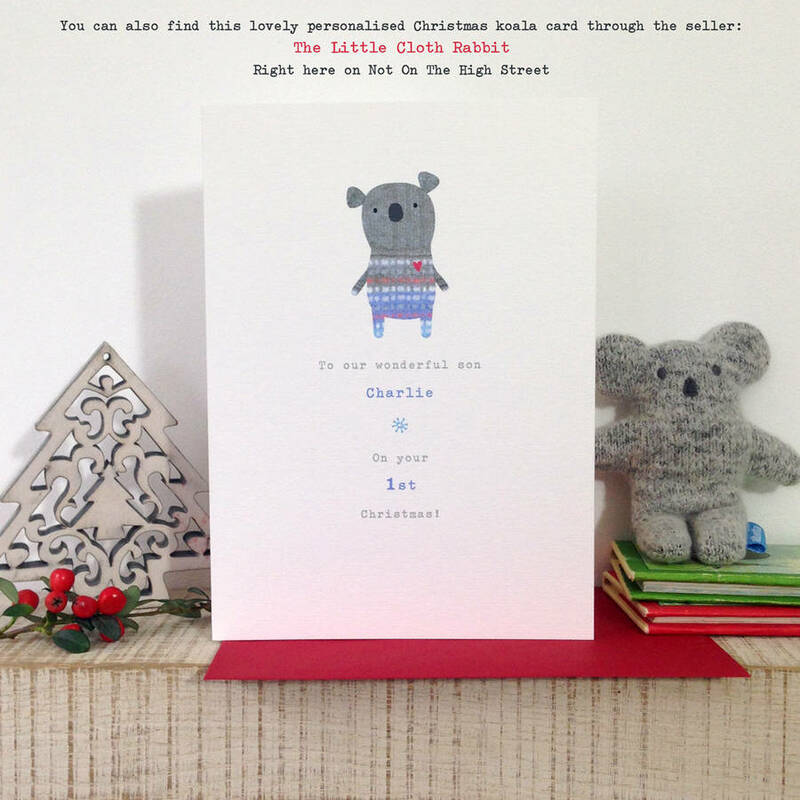 It arrives beautifully packaged in a white raffia envelope fastened with a sticker, so is ready to gift. 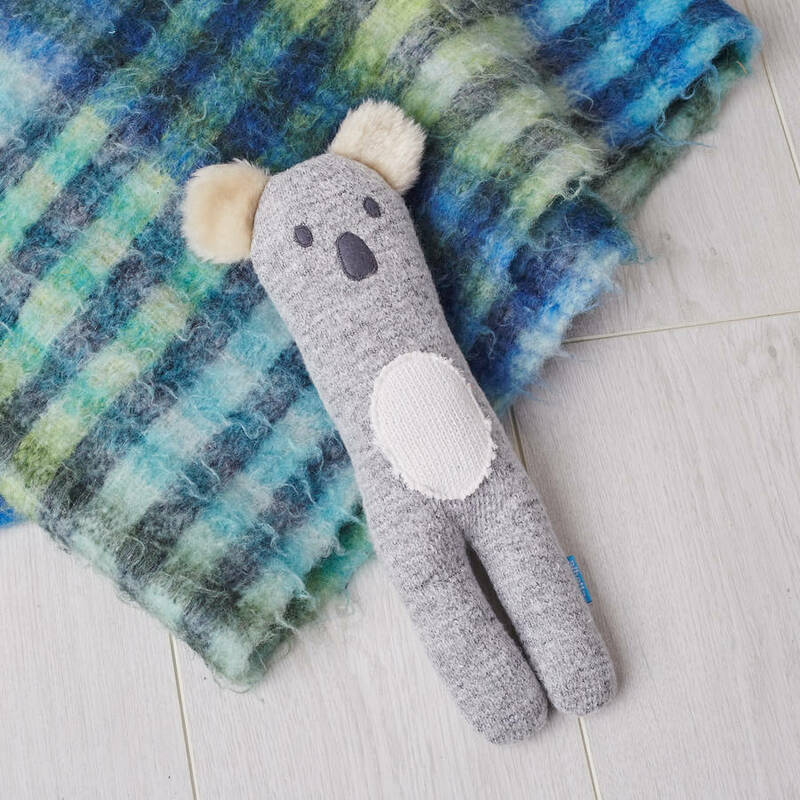 Made from 38% polyester, 29% acrylic, 25% cotton, 8% wool. With polyester filling and polyester/fibre trimmings. Tested to the highest standards; suitable from birth. CE marked. Height approx. 32 cm (standard) and 42 cm (large).